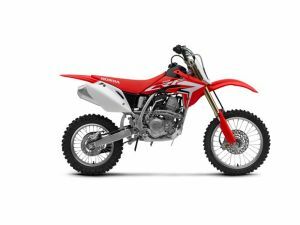 Honda Motor Europe is pleased to announce upgrades for 2018 for its flagship CRF450R moto-crosser. New to the Honda line-up in was the CRF450RX race-ready enduro machine the CRF450RX, featuring enduro-spec suspension, PGM-FI and EMSB (Engine Mode Select Button) mapping, 8.5 litre fuel tank, 18in rear wheel, electric starter and sidestand. For 2017, a switch to a lithium ion battery for the electric starter saves 600 grammes of valuable weight high up on the machine. Both the new CRF450R and CRF450RX will be in dealerships across Europe in the summer 2017.